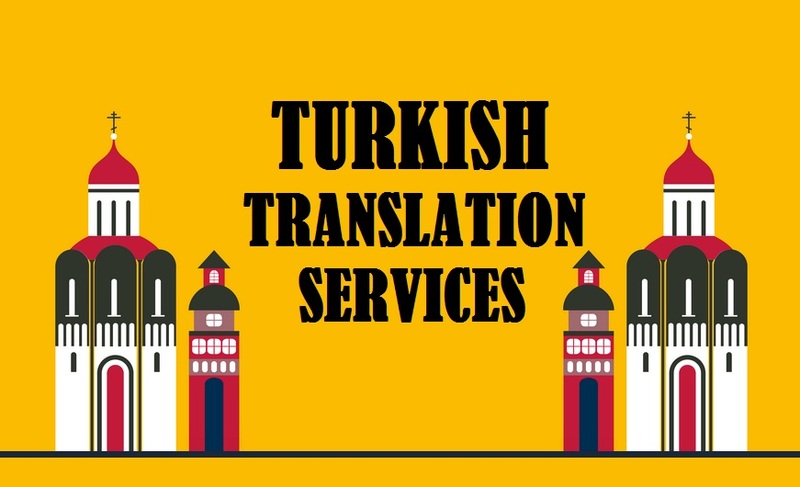 Highly trusted Turkish Translation Services by 1000+ certified Turkish Language translators, who deliver exceptional translation in 200+ language pairs for various industries, like, oil & gas, marketing, healthcare, legal, technical, engineering, medical, tourism, manufacturing, real estate, hospitality, media sector. With such a huge scope of services, our translations are widely famous and trusted in New Delhi UAE India Mumbai Amritsar Hyderabad Bangalore Chandigarh Kolkata Chennai and abroad. So, if you are looking for an ideal and certified Turkish Translation company, which would help you enter the global market via accurate translations, you are at the right place. ■ Hook Opportunities: The global market is a pool of opportunities. It is upto you, how you spot and leverage the golden chances. Our translations are so qualitative that they would help you to explore new opportunities the international market and compose your way towards unrivalled global success. ■ Unambiguous Communication: A clear cut and precise communication, is what we look forward to. Hence, we make sure that the translated output communicates your message in the right manner and attracts your target audience in huge numbers. We believe and understand that any ambiguity in communication can result into losses. Therefore, we keep an eye on quality communication. ■ Win-Win State: This state refers to a win-win situation in both of your target and domestic market. Many a times it happens that people living in the same country, speak different dialects of the same language. Hence, the business owner needs to get his documents translated, even for the local domestic market. Further, through quality translation, you will also be able to cater to the varied needs of your target audience. • The language consists of almost 88 million native speakers. • Known as Istanbul Turkish, the language is widely spoken in Southeast Europe, Western Asia, Northern Cyprus, Bulgaria, parts of Central Asia, the Caucasus, Germany, Greece, parts of Europe and Macedonia. • The language is a part of the Turkic family, which includes almost 30 living languages spoken in Central Asia, Eastern Europe and Siberia. • It is the official language of Turkey, Cyprus and Northern Cyprus; while it is a minority language in Kosovo, Bosnia and Herzegovina, Romania, Iraq, Macedonia and Greece. • Almost 40% of the people speaking Turkic languages are actually native Turkish people. Since the Neolithic age, Turkey has been inhabited by a number of tribal communities. The earliest known artifacts are the Orkhon monuments, which indicate that a language (in its written form) developed in the present day Turkey. These monuments were inscribed with the Gokturk alphabet. The Gokturk tribes were actually the main reason for the production and dissemination of Old Turkic language. The birth of Turkish language is believed to be quite earlier than the 8th century. This is because the experts have found some Old Turkic artifacts outside Turkey. Thus, the development of this language is believed to occur much earlier. It was between 6th and 11th centuries that the Turk tribes migrated to Turkey and laid down their respective cultures in Asia Minor territories. Reports suggest that the traveling communities began travelling from eastern Asia to land in the Middle East and Europe. Before the arrival of the Oghuz Turks, a number of tribes lived in turkey. However, none of them succeeded in establishing a lasting society. On the other hand, Turkish Oguzes permanently established their culture, which was stable and lasted in turkey. During the 11th century, the first ever Turkish dictionary was completed. The language is quite peculiar from other languages, in terms of its typology. The rule of Turkish grammar can be often difficult for the foreigners, especially those who speak a language with dissimilar typology. • Provinces: Turkey consists of 81 provinces. No matter it is translation or other specific task, you may get hurdles or challenges in your path for sure. Now, it is upto you how well or how soon, you are able to hop over all such challenges and come out as a victor. Similarly, in our translation industry, most of the translation companies or freelance translators face certain hurdles in their way, which restrict them from providing high quality translation output. We, however, have come out of such situations and do not face any sort of challenges. Grammar Every language has different grammar rules. Thus, it often becomes a back-breaking task for the translation companies to keep conformity to the grammar rules of the target language. We boast of professional and experienced translators, who precisely understand the grammar part of their source and target language. Hence, you can be rest assured that you’ll be provided with a grammatically translated output. Time The time limit of project completion is also a big and strenuous task for some. This implies that the project isn’t delivered within the deadlines. We always deliver the translation assignment within the specified time frame. No matter, how bulky the translation assignment is or how tight the deadlines are, we commit that the translation file(s) will be delivered to you within time. Tone Maintaining the style and tone of the text in the translated text is often a difficult task. Most of the time, translators unconsciously alter the meaning, tone or stone of the text in the translated version. While you are with TridIndia, you can be rest assured that the translated text will be flawless in terms of quality, tone, style, terminology, meaning and other allied parameters. Winging Fcats:The trend of today’s business world says that a business owner must try to push his limits and firm his business roots in the international market. Thus, you may find a number of organizations following this trend and targeting the worldwide audience. Further, when it comes to the global world, translation is something that should be talked about, for Salrssure. Every country has its own native tongue. You cannot communicate to foreign individual, if you are unable to understand his/her language. Thus, conducting a successful business overseas is almost impossible, if you do not have the translation assistance. Every organization, which dreams to get global, outsources translation to make sure that the language gap is bridged. But, if you wish to stand out from the crowd, you will have to follow the trend; but in your unique style. Obviously, you will need translation at the very first and will also have to come up with clever business strategies and plan of action, which your competitors might have never thought of. What you can do is; translate each and every stuff, which is related to your business. Often business owners translate only their promotional materials to attract the audience. When the audience is attracted, the other things like websites, mobile apps, leaflets etc aren’t translated well. Thus, they lose their customers and end up with nothing. But if, for example, you wish to target the Turkish audience, you will have to make sure that the materials (every document/material that defines your business) are well translated into their language and also adapted as per their culture. Adapting the document as per the target culture, will make it easy for you to get closer to the audience easily. Also, keep track of the regional dialects. To put it in simple words, if you have a perfect strategy with avant-garde translation, you are sure to gain increased revenues, sales within a short frame of time. So, contact us today, as we can help you with the finest translation solutions within your budget..! !